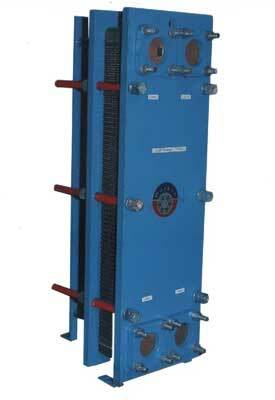 We are one of the prominent Manufacturers and Exporters Plate Heat Exchanger from India. Our Plate Heat Exchanger is equipped with metal plates to transfer heat between two fluids, which make it an efficient Heat Exchanger compare to ordinary Heat Exchanger. Our Plate Heat Exchanger is widely demanded in the market due to it smooth performance and longer functional life.